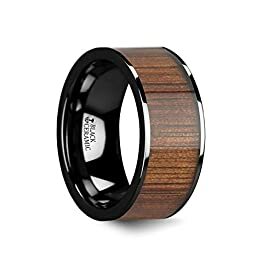 Shop the latest collection of Wood from Diamond Wedding Rings Store. New products are available online. Shop today! 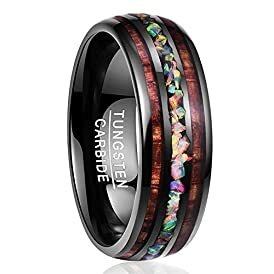 Stunning 8mm Brushed Satin Finish Royal Blue Tungsten Carbide Band Ring with Beveled Edges and Rare Wenge Wood Inner Band Sleeve.